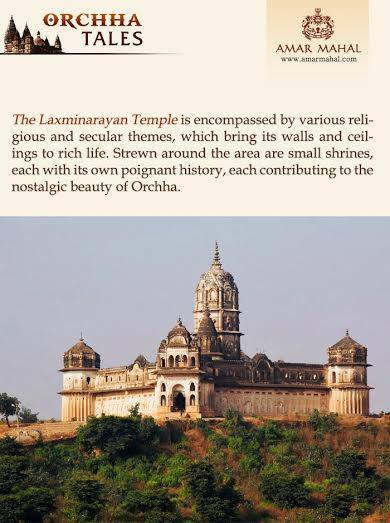 On the auspicious day of Navratri Sthapna, Amar Mahal introduces “Orchha Tales” It will take you on a wonderful tour of this mesmerizing town of #Bundelkhand!! 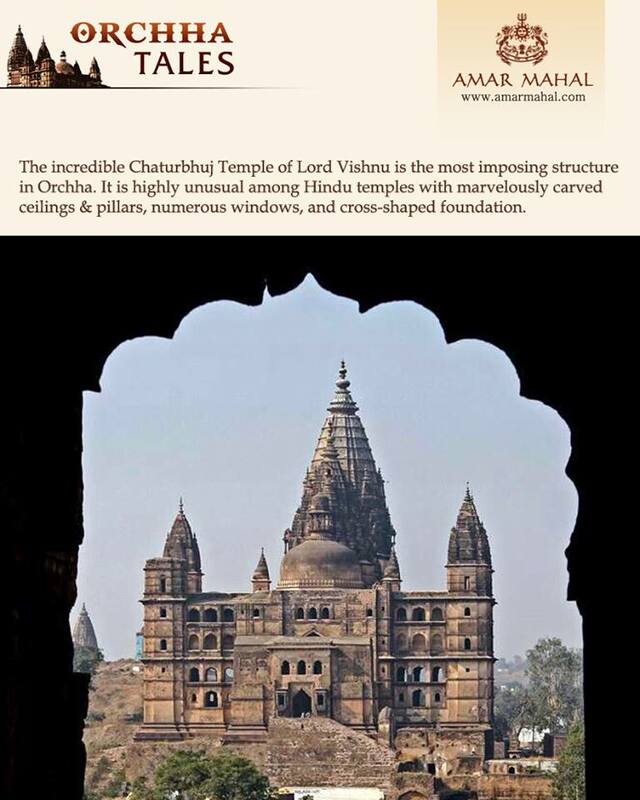 Incredible Chaturbhuj Temple and its architecture is as striking as its legends! 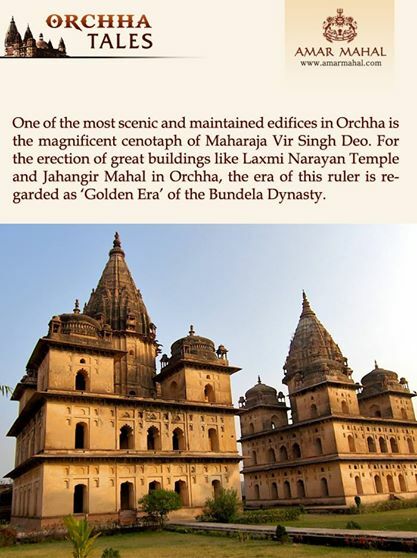 Unravel the magnificence of this temple with Orchha Tales!! 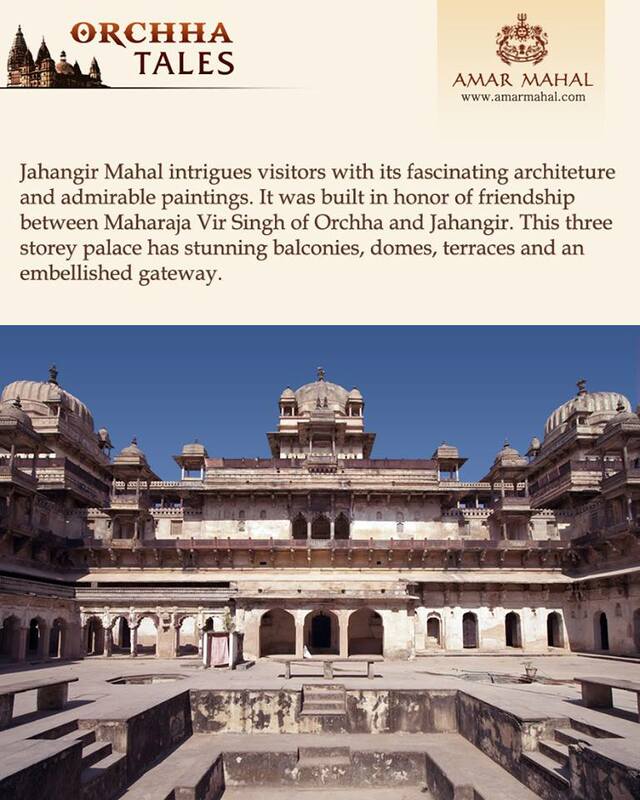 Built by Maharaja Vir Singh to welcome Jahangir in his town, Jahangir Mahal is a wonderful structure to admire in Orchha!! The hamlet Orchha that is famed for its architectural marvels and tourist attractions basks prettily on the banks of River Betwa. 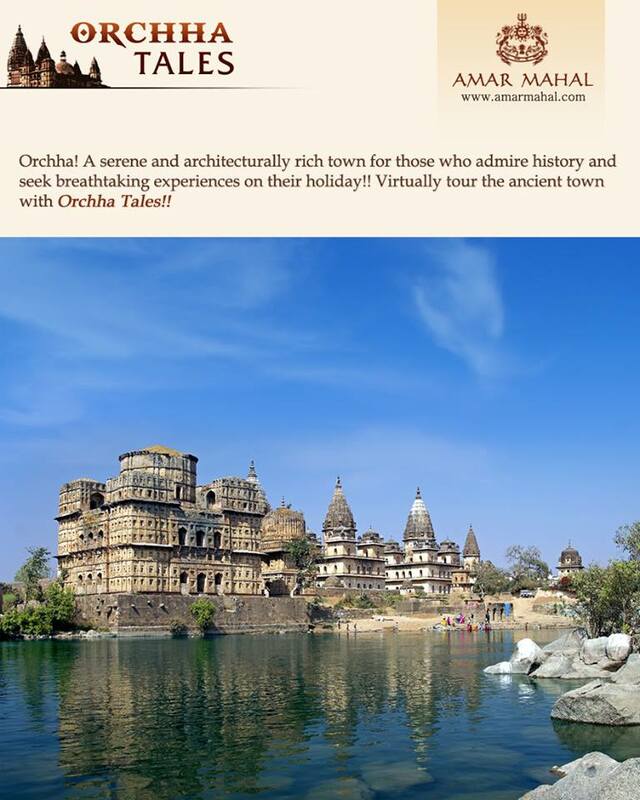 “Orchha Tales” brings to you its shimmering glory !! You can’t miss this out if you love art. 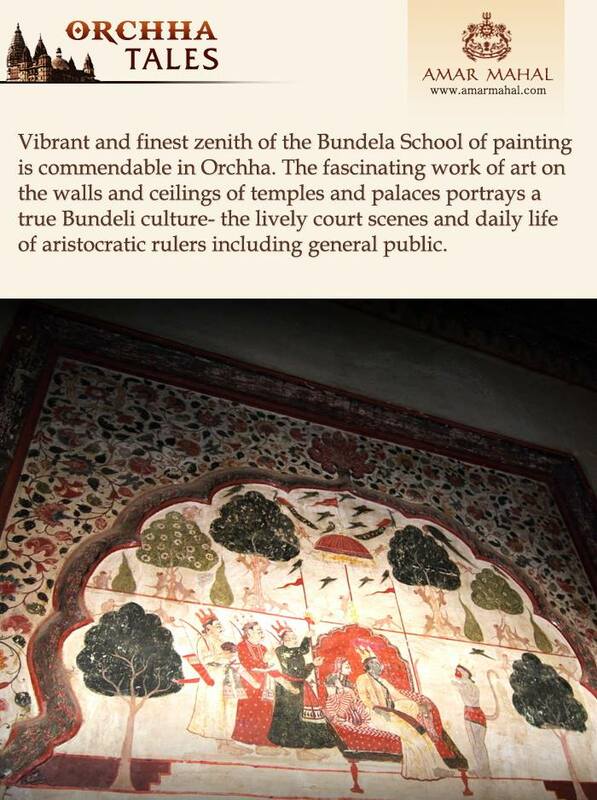 This time through ‘Orchha Tales’ we are sharing with you the zenith of Bundela School of Paintings in Orchha!! Not just winters, even summers are soothing and cooler around the specific areas of Orchha. Surprised how? 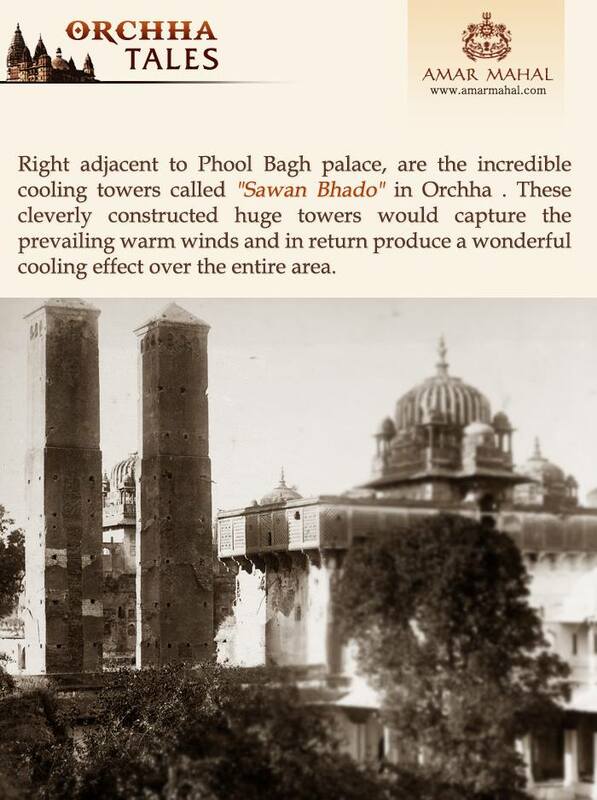 It is because of the “Sawan Bhado” the incredible wind towers in the town!! 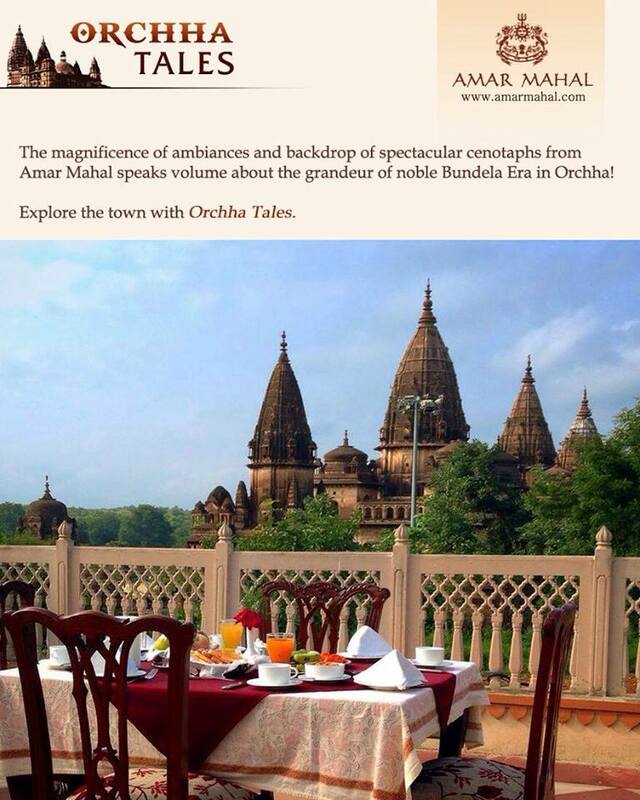 Sojourn to the magical town of Orchha with “Orchha Tales”. 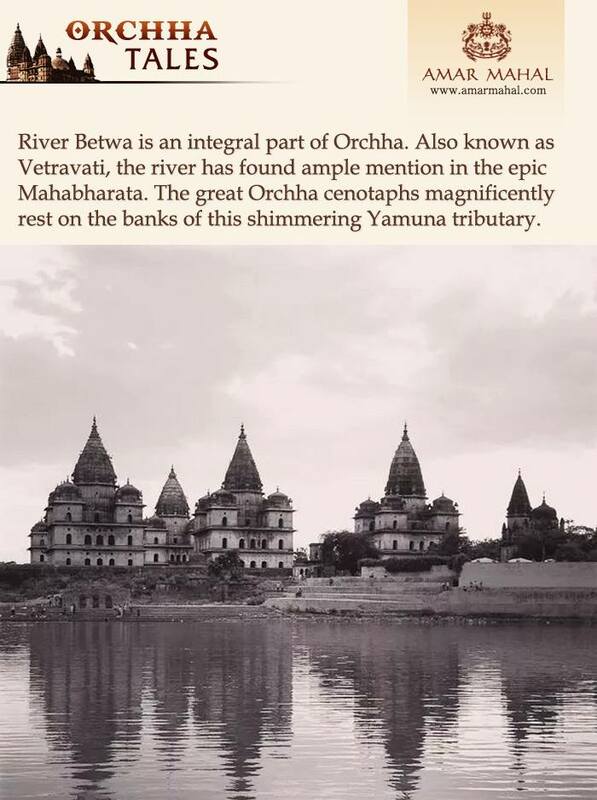 Taking you to the most breathtaking destinations, Orchha Tales, this week, brings you closer to the magnificent cenotaphs of the town. Holy hymns and temple bells blend here with the regal salute of gun shots every evening ! 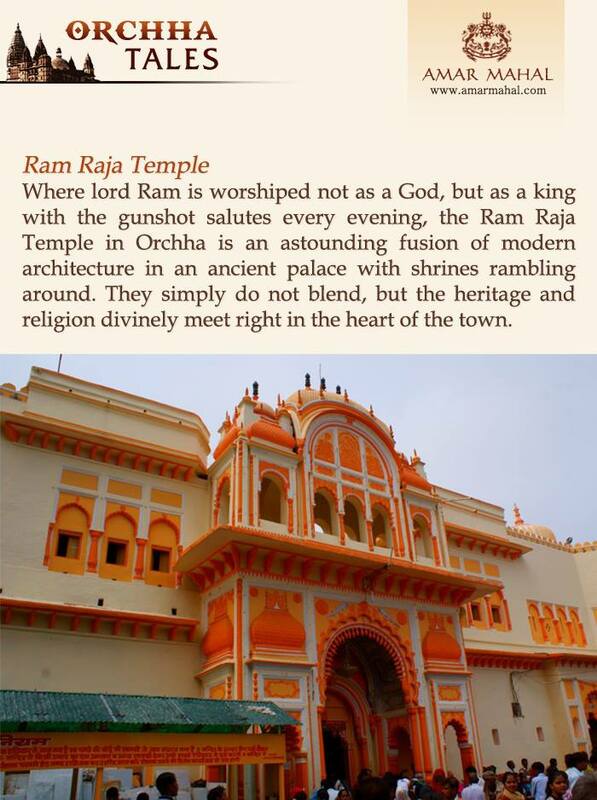 Ram Raja Temple essays an enchanting legend in Orchha Tales! 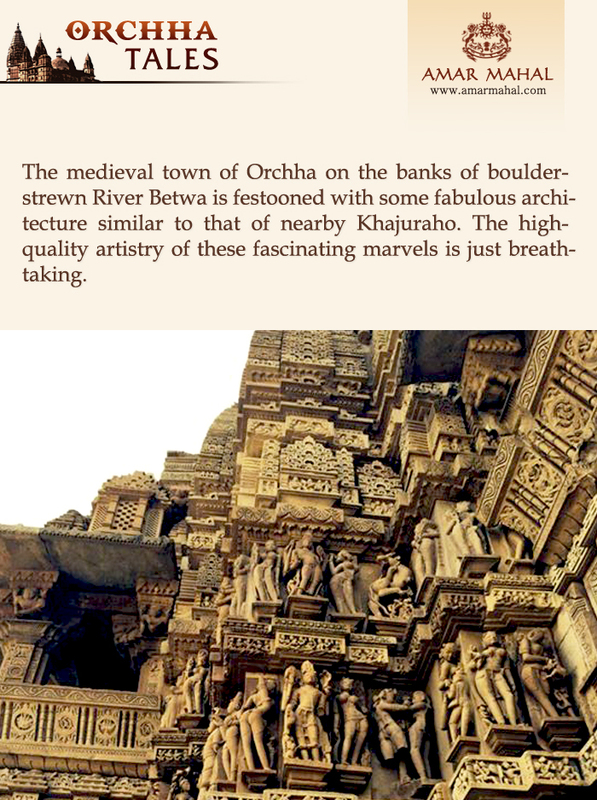 Who would want to drive down till Khajuraho when “Orchha Tales” can endeavor such breathtaking sight of the medieval sculptures in ‪#‎Orchha‬ itself! 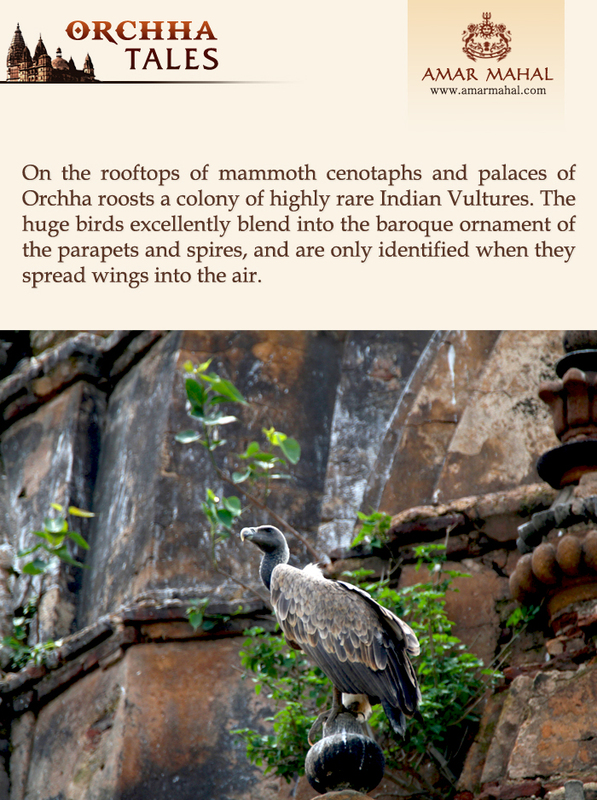 Unravel the shrinking kingdom of great Indian vultures found only in Orchha! !